Mr Shivshankar Menon is Distinguished Visiting Research Fellow at Institute of South Asian Studies National University of Singapore (ISAS). In a long diplomatic career before he became the National Security Advisor to the Prime Minister of India, Mr Menon had served, at different times, as India’s Foreign Secretary, High Commissioner to Sri Lanka and Pakistan, and Ambassador to China. He had presented as the inaugural ISAS Lecture Series titled ‘Asia’s New Geopolitics’ on 18 December 2017. The lecture was organised by the Institute of South Asian Studies (ISAS), an autonomous research institute at the National University of Singapore (NUS). I find this talk very interesting. Here is some snippets. Asia’s phenomenal economic success has resulted in shifts in the political and military balance of power. What do these mean for Asian geopolitics? Will Asia be able in the future to keep the security and peace that made Asia’s economic transformation possible in the past? Are we in a New Era? Consider, first, whether we are in a new era. The signs, or four big trends, indicate this. 1. The Shift in the Balance of Power between States. As a result of the high tide of globalisation, of which China and India were the greatest beneficiaries, economic power has shifted and is much more widely held than before in the world. The preponderant change is the rise of China, but other powers have also grown. 2. Transformation of Domestic Politics around the World. Among the consequences of the decades of globalisation have been the growing inequality within societies, fears of loss of identity and the diminishing capacity of the state or government to determine economic and social outcomes. 3. Revolutions in Technology, Energy and Economics. The very nature of power and its exercise is changing due to technology. Human ingenuity is devising new uses for technology, and rapid revolutions in energy, artificial intelligence (AI), digital manufacturing, and information and communication technology (ICT) are transforming the landscape of politics. The new ICT, AI and other technologies are largely held in private hands and are less the result of big science and large state investments than of individual innovation and enterprise facilitated by government effort. This makes regulating their use more complicated and guarantees that the technologies are available to most of those who wish to use them, irrespective of their good or bad intent. The cyber domain is available to all groups. Political parties, states and governments have been quick to use cyber space for their own purposes. The energy revolution, particularly the use of shale oil and gas, and the increasing cost effectiveness of renewable energy are changing the geography of power. The US, having become a net exporter of energy, has less incentive to maintain political stability in West Asia and can now allow its perceived political interests, like preventing Iranian predominance in the region, to override its economic interest in the stability required to keep the oil flowing. 4. New Security Agenda Issues. New technologies like ICT have created new domains. And we see contention in each of them – the maritime, cyber and outer space domains are all contested and increasingly militarised, not just by states but by non-state actors as well. The new technologies have made national 10 boundaries porous. The new security agenda issues like the environment or energy, counterterrorism or pandemics, cyber and space security, all require cooperative and global solutions. None of them recognise national or sovereign boundaries, or sub-regional and continental borders. It, therefore, is useful think in larger continental terms when we consider how to deal with these challenges. Why do we Speak of Asia when Western and Eastern Asia are so different? No western Asian economy figures in the top five Asian economies by GDP, in either nominal or PPP terms. Asia, with 4.4 billion people (about 60 per cent of the world’s population) in 49 states, increasingly drives global prosperity and affects global security. India’s security and defensive interests in western Asia remain. Over seven million Indians live and work in the Persian Gulf and Saudi Arabia, more than 63 per cent of India’s crude oil imports come from the region, and we risk the spread of radical or political Islam to India from western Asia, which is already the major funder and inspiration for jehadi terrorist groups in India after Pakistan. India, therefore, has no option but to be engaged in the region and to work with all those who will cooperate against radicalism and terrorism, finding partners where it can. The Search for Ideas and a New Order. 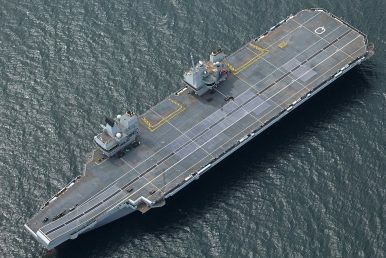 Today neither the traditional dominance of the US’ “hub-and-spokes” alliance system as a provider of security in the Asia-Pacific, nor a potential China-US understanding or G-2, can settle, calm or manage issues like the North Korea nuclear weapons programme, the consequences of the return of geopolitics, the arms buildup, territorial and maritime disputes and flash points like the south China sea, or the balancing behaviour that we see in the Asia-Pacific. Features of the New Era. Today, a crisis in the Baltic, Ukraine or Crimea is important to Europe, the US and Russia, but is not a significant risk to the rest of the world, or to the emerging markets. Powers like India and China can sit quiet on Ukraine. A North Korean nuclear crisis, on the other hand, today involves major powers and affects the global balance and global risk. 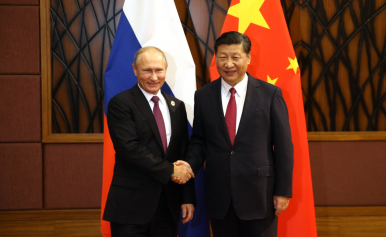 While the centre of gravity of world geopolitics has shifted to the Asia-Pacific, at the same time, the east has been effectively decoupled from the west, the Asia-Pacific from Europe in terms of geopolitics. The Trump administration is trying to decouple the US from the world. As we move from an American to an Asian century, India is being nudged to redefine its place in the global world order. It has all the ingredients to play a major role in the coming decades, be it geographical size, rapid economic growth, burgeoning manpower, or soft power like secular democracy and culture. Yet, many lament that India still lacks a “strategic culture” required to ace the world screen. A 1992 Rand Corporation study commissioned by the Pentagon is a case in point. The paper authored by George Tanham focused on how India’s historical, geographical, and cultural factors was based on spiritualism and timelessness and was void of a strategic thought. Similar arguments have been used to point out the rise of China which is given while censuring India for being a power that cannot quite get its act together. A 2006 study conducted by Department of Defence by Rodney Jones provides a diametrically opposite view, however. The paper states ideas of Kautilya on war and peace, governance, public administration, military affairs, intelligence and real politic in interstate balance of power. The paper reflected the broader thought that Kautilyan realism was not only present among the policy and strategy elites of the modern India but was subconsciously present in the thoughts of normal citizenry. There are proponents of both the ideas. Critics believe that on national security issues, there is still no consensus on how to deal with challenges from our neighbouring countries. There is little agreement on dealing with Naxalism and insurgency within the country. Views on Kashmir and North East are not consistent and fluctuate along party lines. The 26/11 Mumbai terror attacks brought to fore as to how India should have responded to the attacks. Others gloat over India’s surgical strikes against Pakistan in 2016 or the unfolding of Doklam crisis insisting that India finally has a strategic culture in place. However, these incidents are still taken in isolation and discussed on a case-to-case basis rather than coordination. It therefore becomes imperative to delve on the first step to achieve coordination in Indian strategic environment. What is the role of academic thought in this regard? ‘Strategic’ refers to statecraft, largely dealing with military and foreign policy. ‘Culture’ on the other hand is trickier to explain. It is inherently pluralist in character. Different peoples have different languages, ethnicity, ecology, traditions and customs. This makes for diverse cultures in the world. On these lines, ‘strategic culture’ of different peoples or different nation-states become different because thinking in politics, foreign policy and security affairs are not uniform across the world. Various factors determine the formation of national culture. For example, America’s strategic culture is based on American exceptionalism, manifest destiny, city on a hill, etc. Russian strategic culture is influenced by invasions by the Mongols, Poland-Lithuania, Sweden, France and Germany, communism and cold war. Indian strategic culture will have historical experiences from invasions from Persians, Mongols, Muslim Arabs, British colonialism, Gandhian world view. As an academic subject, strategic studies is interdisciplinary in character and draws heavily from politics, economics, sociology, psychology, geography, etc. It is also action oriented and therefore, involves military, intelligence, force, technology among other things. Cold War was the golden period of strategic studies when it was introduced as a prominent academic sub discipline of international relations. It, however, went into hiding during the 1970s détente period and re-emerged in the post-cold war period as new problems of ethnicity, nationalism, insurgency and climate change emerged. In India most of the courses in social sciences introduce the concept of nation, sovereignty, and statehood. However, these are taught in the realm of political science and are largely domestic in character. International Relations is introduced mostly at the graduate level and is still not as popular. Strategic and Security Studies reach is even rarer. In contrast, countries like the US, UK and Australia have full-fledged departments providing for military and national security studies. This helps in nurturing individuals to participate on issues related to geo-politics, military geography, defence economics, conflict management and resolution thus contributing towards developing of a strategic culture. For a nation to create synchronisation in its national security matters, it is important that an informed debate is generated so as to build consensus regarding military and non- military dimensions of security. While strategic studies should focus on securing security, the means adopted must preserve the freedom and rights of people enshrined in the constitution. This when imparted through academic thought will ensure that future leaders deal with crisis situations with enough preparation and a deep understanding of the history rather than getting embroiled in individual instances. 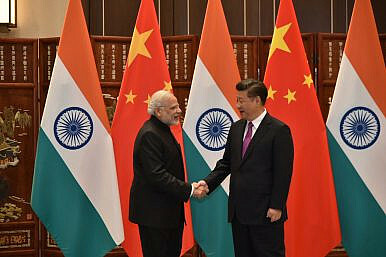 2017 was an extremely difficult year for China-India relations. With military tensions close to their disputed border, increasing competition in their neighborhood, and growing strategic mistrust, Beijing and New Delhi’s relations reached a nadir in 2017. Happily, the damage 2017 has inflicted on the relationship between the two Asian giants is not irreparable. Nevertheless, it reflects larger trends and indicates that Sino-Indian relations increasingly stand at a crossroads, with growing likelihood that they could go in the wrong direction. Hence, New Delhi and Beijing need to start rethinking their relations in 2018. The U.S. failed to behave as an ally and turned Islamabad into a “whipping boy” for its own shortcomings in Afghanistan, Pakistan’s foreign minister said, after the Trump administration suspended security-related aid to the country. “We do not have any alliance” with the United States, Khawaja Muhammad Asif said in an interview Friday. “This is not how allies behave.” Washington said Thursday that security assistance to Islamabad was on hold until the Pakistani government took “decisive action” against terror groups on its territory, including the Afghan Taliban and the Haqqani Network. The announcement followed a tweet from President Donald Trump earlier this week alleging that Pakistan gives “safe haven to the terrorists we hunt in Afghanistan.” Islamabad denied his claim and has long decried similar allegations. On December 26, 2017, the first China-Afghanistan-Pakistan Foreign Ministers’ Dialogue was held in Beijing. 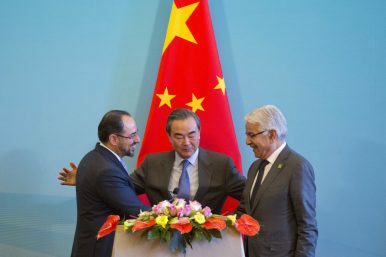 The two most important takeaways from this trilateral dialogue were Beijing’s “read[iness] to play a constructive role in improving Afghanistan-Pakistan relations” and decision on “extending CPEC [the China-Pakistan Economic Corridor] to Afghanistan.” This is the first time that China has been willing to play the mediator and facilitator role between Kabul and Islamabad. But it was decades ago, during the Cold War, that both top Pakistani and Afghan government officials first urged China to play such a role — to no avail. Moreover, although the recent trilateral foreign ministers’ dialogue was proposed by China in mid-2017 amid tense Afghanistan-Pakistan ties, Afghanistan put forward the original idea for tripartite meetings among the three countries in 2012. Why is China only responding now? The United States has foolishly given Pakistan more than 33 billion dollars in aid over the last 15 years, and they have given us nothing but lies & deceit, thinking of our leaders as fools. They give safe haven to the terrorists we hunt in Afghanistan, with little help. No more! Early Monday morning, President Trump lashed out at Pakistan, accusing the country of “lies & deceit” and of giving safe haven to terrorists. “No more!” he wrote. By Thursday, the State Department had announced that it would withhold up to $2 billion in U.S. aid until the country takes “decisive action” against the Taliban and an aggressive offshoot of the group, the Haqqani network. As The Washington Post reported, that number includes $900 million in Coalition Support Funds designated to reimburse Pakistan for fighting militants. Early Monday morning, President Trump lashed out at Pakistan, accusing the country of “lies & deceit” and of giving safe haven to terrorists. “No more!” he wrote. By Thursday, the State Department had announced that it would withhold up to $2 billion in U.S. aid until the country takes “decisive action” against the Taliban and an aggressive offshoot of the group, the Haqqani network. As The Washington Post reported, that number includes $900 million in Coalition Support Funds designated to reimburse Pakistan for fighting militants. “No partnership can survive a country's harboring of militants and terrorists who target U.S. service members and officials,” State Department spokeswoman Heather Nauert told reporters. Bottom Line: With the original ISIS core nearly expelled from its so-called caliphate in Syria and Iraq, other ISIS branches are growing in influence and lethality. 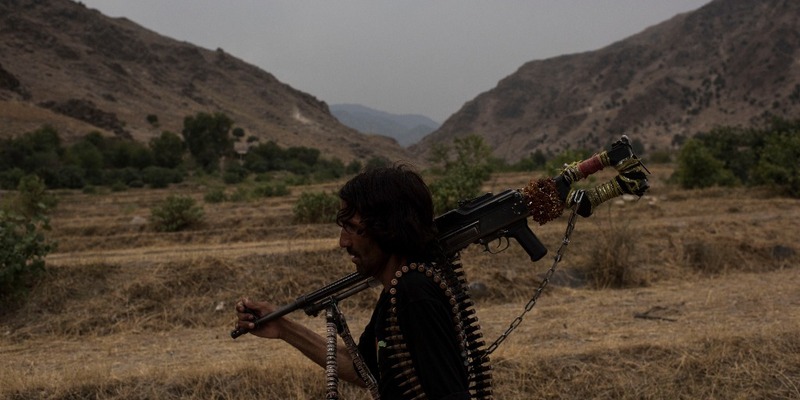 Skilled fighters and funding are flowing to ISIS Khorasan Province in Afghanistan where the group has taken advantage of the country’s weak central government and harsh geographic terrain to fend off invaders and exude a winning aura. U.S. and Afghan forces claim they have killed ISIS fighters by the thousands, but those numbers are being replenished by new militant recruits eager to join what they see as a “winning” team. China is constructing its second overseas military base in Pakistan as part of a push for greater power projection capabilities along strategic sea routes. The facility will be built at Jiwani, a port close to the Iranian border on the Gulf of Oman, according to two people familiar with deal. Plans call for the Jiwani base to be a joint naval and air facility for Chinese forces, located a short distance up the coast from the Chinese-built commercial port facility at Gwadar, Pakistan. Both Gwadar and Jiwani are part of Pakistan’s western Baluchistan province. Last month, a sit-in led by cleric Khadim Hussain Rizvi and his Tehreek-e-Labaik Ya Rasool Allah (TLY) political party brought the Pakistani capital of Islamabad to a two-week standstill. While the event will eventually recede from memory, its implications will be far reaching and long lasting. Indeed, the sit-in barely mustered several thousand participants, but its impact can’t be overstated. Above all, it reflects the dangerous evolution of extremism in Pakistan. The protest, which occurred at the Faizabad interchange connecting the cities of Islamabad and Rawalpindi, was motivated by a change that Pakistan’s law minister, Zahid Hamid, had made to an oath that must be uttered by newly elected parliamentarians. The change (which was quickly reversed) pertained to the part of the oath declaring Muhammad as the final prophet. TLY denounced the move as a conspiracy to undermine the status of the Prophet Muhammad, and demanded Hamid’s resignation. When does 32,200 – 60,000 = 109,000? That seemingly inaccurate equation represents the estimated number of Islamist-inspired terrorists when the war on terror began, how many the U.S. has killed since 2015, and the number that fight today. And it begs the question of just how can the terror ranks grow so fast when they’re being depleted so rapidly. As early as 2003, then-Secretary of Defense Donald Rumsfeld hinted at the potential mathematical problem when he asked, “Are we capturing, killing, or deterring and dissuading more terrorists every day than the madrassas and the radical clerics are recruiting, training and deploying against us?” In his memo, Mr. Rumsfeld correctly identified that both sides have a vote: the U.S. can deplete the terror ranks, while the terror groups and their supporters can replenish them. What’s With the New India-Myanmar Border Pact? On January 3, the Indian Cabinet approved an agreement between India and Myanmar on land border crossing. 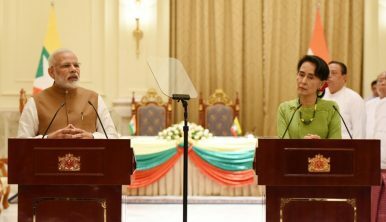 Though specifics remain unclear, particularly amid challenges faced by both countries including confronting the Rohingya crisis and aligning on various aspects of cross-border regulation, the move is nonetheless notable. India has been engaging the Southeast Asian region through its “Act East” Policy under Prime Minister Narendra Modi – billed as a more active approach relative to the Look East Policy of the 1990s – and Myanmar is the only Southeast Asian country with which India shares a land border. Though there are several important aspects of the India-Myanmar relationship, one of these is the management of this shared 1,643 kilometer border. Chinese air force fighters have begun escorting bombers around Taiwan in “encirclement drills” and spokesmen for the Communist government have warned Taiwan to get used to it . On Wednesday, China’s president Xi Jinping, dressed in military fatigues, convened a military mobilization meeting— the first ever for the entire Chinese armed forces and commanded China’s military to become “battle ready.” Chinese officials are threatening that relations with Taiwan will turn “grave” because Taiwan’s government refuses to acknowledge that the island is part of China. A leading Chinese analyst predicts that China has accelerated its timetable to 2020 for taking over the island by military means. In the late 1950s the deterioration of Sino-Russian relations paved the way for the historic meeting between U.S. President Richard Nixon and Mao Zedong in 1972. The offspring of that meeting was the Shanghai Communiqué, and the onset of the Sino-American détente on one side and that Soviet containment in the Asia-Pacific on the other, a divide that would define the relations between the two communist countries for decades to come. Incidents involving Iran have been among the most sophisticated, costly, and consequential attacks in the history of the internet. The four-decade-long U.S.-Iran cold war has increasingly moved into cyberspace, and Tehran has been among the leading targets of uniquely invasive and destructive cyber operations by the United States and its allies. At the same time, Tehran has become increasingly adept at conducting cyber espionage and disruptive attacks against opponents at home and abroad, ranging from Iranian civil society organizations to governmental and commercial institutions in Israel, Saudi Arabia, and the United States. On the day after Iran erupted into yet another revolt against the dictatorship of "Supreme Leader" Ayatollah Ali Khamenei, much of the mainstream media in the West acted as if nothing had happened. As Iranian women tore off their hijabs in protest on Thursday, the Friday edition of one Toronto paper carried a large photograph of two women in hijabs on the cover of its "insight" section, with the title #ACTIVISM. For many Iranians in Canada, it could not have been a worse insult. ,The first protests in Iran erupted in the country's second-largest city of Mashhad. They are most certainly of an economic nature. One does not need to be a Marxist to connect the dots between the economic deprivation of a million slum dwellers and their desire for economic change. Iran’s crackdown on protesters could affect almost anyone in contact with them, thanks to a sophisticated internal police operation that routinely targets not only academics and dissidents but also those who have interacted with them — and even people only tangentially linked. Cybersecurity firms and prominent researchers of Iranian digital espionage efforts say one government-backed group in particular, Infy, will likely continue to increase its attacks even after the current unrest ends.The Iranian security forces use many of the same tactics that nation-state actors and criminal groups deploy against corporate and political victims, particularly spear phishing — basically, emails from a phony source that urge the recipient to click a link that downloads information-exfiltrating malware. But unlike common crooks, Tehran and its agents are constantly refining and improving their phishing emails. The following is a lightly edited transcript of a talk delivered at the David Horowitz Freedom Center on Nov. 19, 2017. Click the graphic below right to watch the video. Daniel Pipes: I'd like to start by recalling Lt. Hiroo Onoda of the Imperial Japanese Army. Lieutenant Onoda was, in 1974, convinced to surrender. He was living on an island in the Philippines, and for 29 years, he had very seriously been engaging in war. He'd been killing people, maiming them, and stealing. Finally, he was convinced, when his commanding officer came to the island, that he should lay down arms, that the war was over and that Japan had lost. It has been less than a month since President Vladimir Putin declared a successful end to Russia’s intervention in the Syrian civil war and announced the imminent withdrawal of Russian forces from the country. Not even a fortnight later, Islamist militants conducted a deadly mortar attack against Russian forces in Syria. The Syrian civil war is not over, and it won’t be anytime soon. The short-term damage to Russia’s public relations campaign is acute. But far more important is whether Russia is getting dragged into its very own Middle Eastern morass, and what this means for the various forces competing for power in Syria. Russian President Vladimir Putin (L) toasts with Defense Minister Sergey Shoigu at a reception for military servicemen who took part in Syrian campaign at Grand Kremlin Palace on Dec. 28, 2017, in Moscow, Russia. Is Bitcoin the tulip craze of the 21st century, or something else? Over the festive season, the conversation in my household inevitably turned to the phenomenal rise — and fall — in the US dollar price (exchange rate) for Bitcoin during December (Figure 1). The roller-coaster ride of the blockchain-based currency has been front-page news for the mainstream media, where it has been both likened to and disassociated from the boom-and-bust of the infamous 1637 Dutch tulip craze. Last week I participated in a high-level discussion with a senior representative from the Administration. The topic was North Korea. And at one point, the individual said that the Administration believes “we are running out of time on North Korea.” “What the hell are you talking about,” I said. Let us go through this systematically. We should survey the real facts—not what people want to believe, but what is true. First, North Korea is not going to give up nuclear weapons just because we want them to. They are a failed economy with only one thing going for them—their nuclear weapons program. They will not give it up ever. 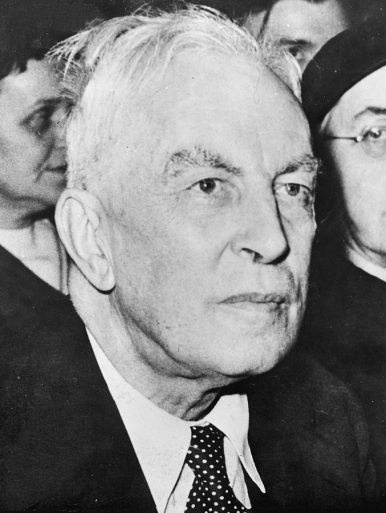 Forty-eight years ago, British historian Arnold J. Toynbee and Japanese professor Kei Wakaizumi held a dialogue of sorts, addressing some concerns of the student generation in Japan and throughout the world. Toynbee and Wakaizumi talked for seven days, three hours each day. The dialogue was initially published in Japanese in daily installments in the Mainichi Shimbun between August 24 and December 9, 1970, and the next year it appeared in book form in English under the title Surviving the Future. The dialogue’s format was a series of deeply philosophical questions posed by Wakaizumi to the famed British historian, and Toynbee’s lengthy responses and reflections on the topics suggested by Wakaizumi. It makes interesting reading in light of what has transpired during the last half-century. Almost 200 years ago, as recounted in Robert K. Massie’s Dreadnought, German Chancellor Otto von Bismarck remarked to the Russian ambassador in Berlin his fundamental thoughts on international relations: “All politics reduce themselves to this formula: try to be a trois in a world governed by five powers.” Bismarck was not using a literal expression; his point was that every state maneuvers itself to be on the side with the preponderance of power whenever possible.While his statement is as realpolitik as it gets, there is wisdom in it. In East Asia, the U.S. “hub-and-spoke” alliance system closely resembles Bismarck’s thinking, especially the United States’ military alliances with Japan and South Korea. While it is no secret the United States is working toward closer military cooperation with and between the aforementioned Asian powerhouses, it is equally clear the three partners continually face adversity in improving their comprehensive trilateral defense cooperation. Despite its potential boon to regional security, a more formal military arrangement between the three nations has revealed itself to be politically redoubtable. We're heading into a new year and it's always fun to think about what's in store. But sometimes looking at what's happening right now can help you get ready for what's next. Why am I talking in zen koans? What can it really do and what practical uses is it being put to? This year, watch for real advances to finally start pulling some of the publicity from marketing claims. “The great globe itself” is in a rapidly maturing crisis — a crisis attributable to the fact that the environment in which technological progress must occur has become both undersized and underorganized. To define the crisis with any accuracy, and to explore possibilities of dealing with it, we must not only look at relevant facts, but also engage in some speculation. The process will illuminate some potential technological developments of the next quarter-century. In the first half of this century the accelerating industrial revolution encountered an absolute limitation – not on technological progress as such but on an essential safety factor. This safety factor, which had permitted the industrial revolution to roll on from the mid-eighteenth to the early twentieth century, was essentially a matter of geographical and political Lebensraum: an ever broader geographical scope for technological activities, combined with an ever broader political integration of the world. Within this expanding framework it was possible to accommodate the major tensions created by technological progress.